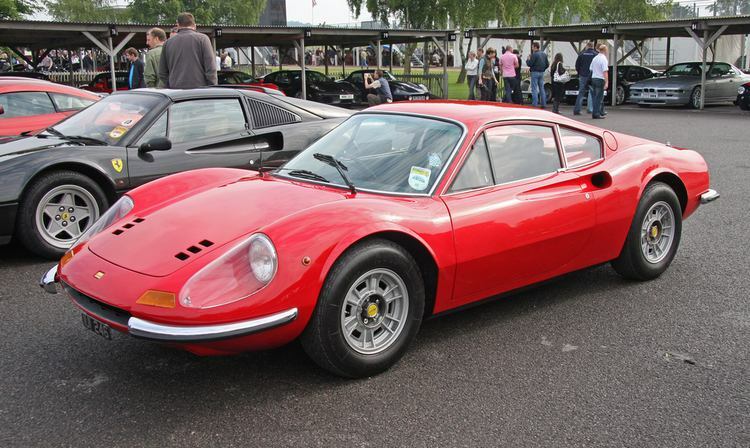 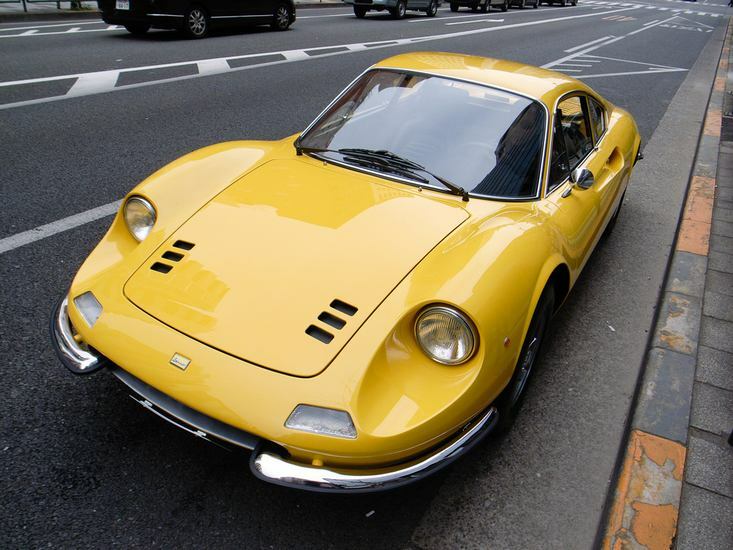 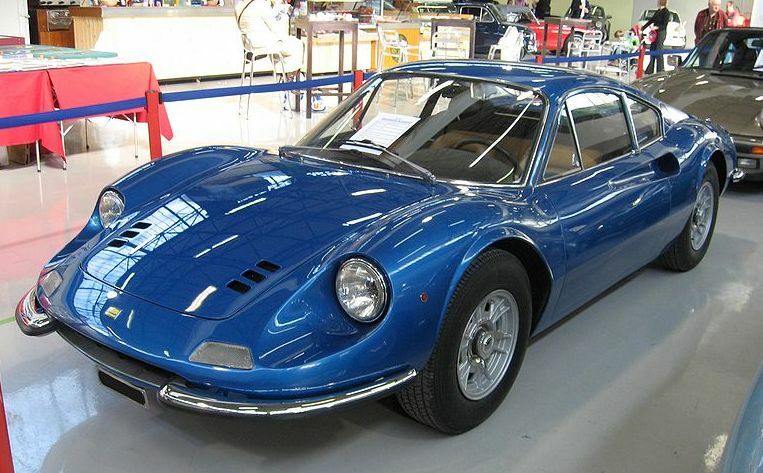 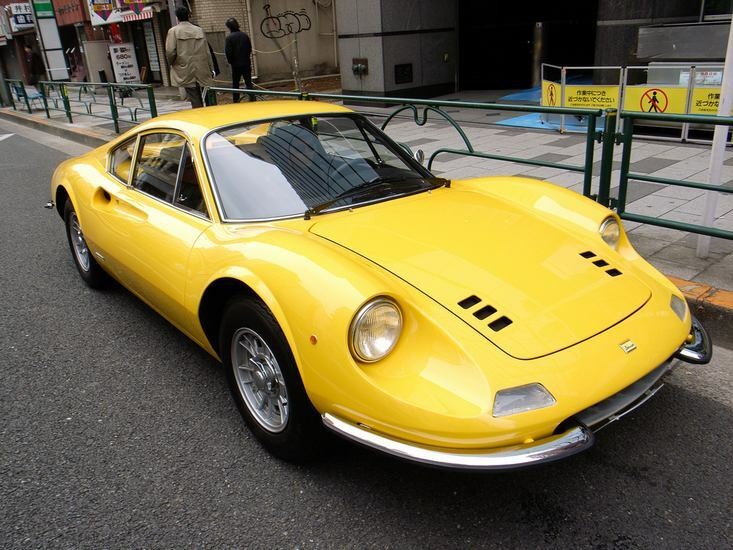 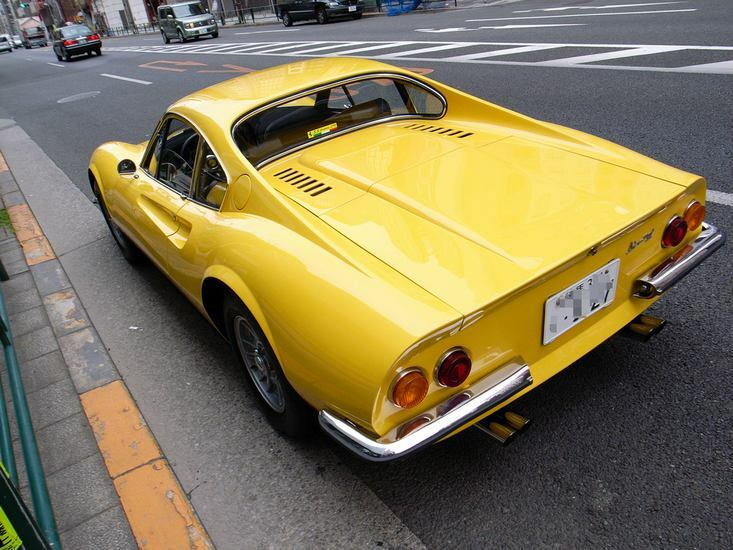 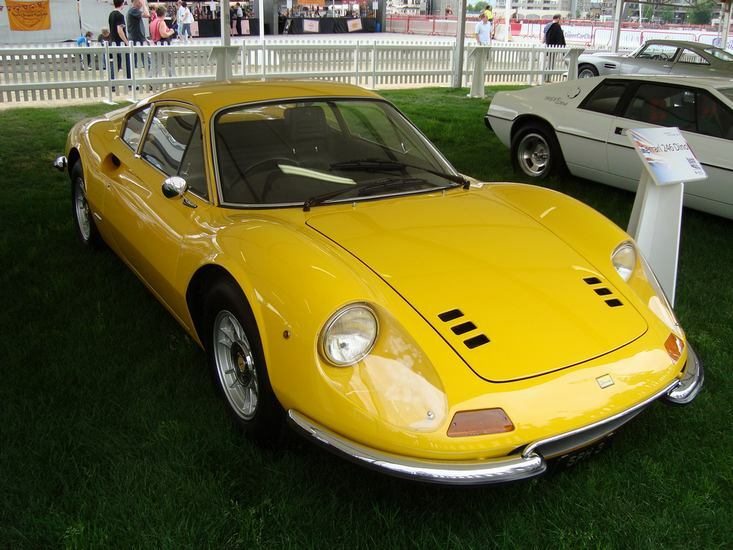 Additional Info: It’s Predecessor is the 1968-1969 Dino 206 GT, with a 180bhp 2.0 V6, 0-60 in 7.5, 0-100 in 19.2, 1/4 mile in 15.5 and 0-1km 28.1 (See last picture below, note: soft edges and no bumpers). 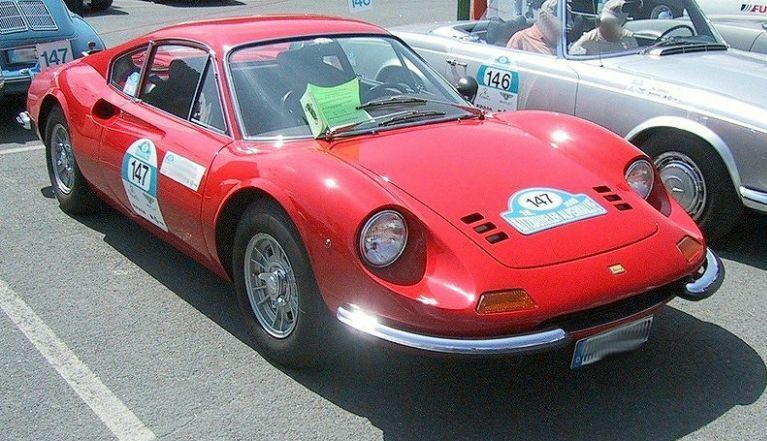 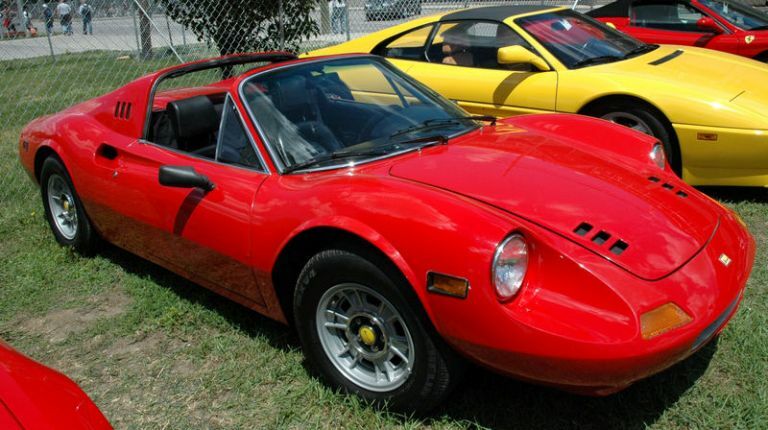 Named after Enzo Ferrari’s son “Alfredo Dino Ferrari”. 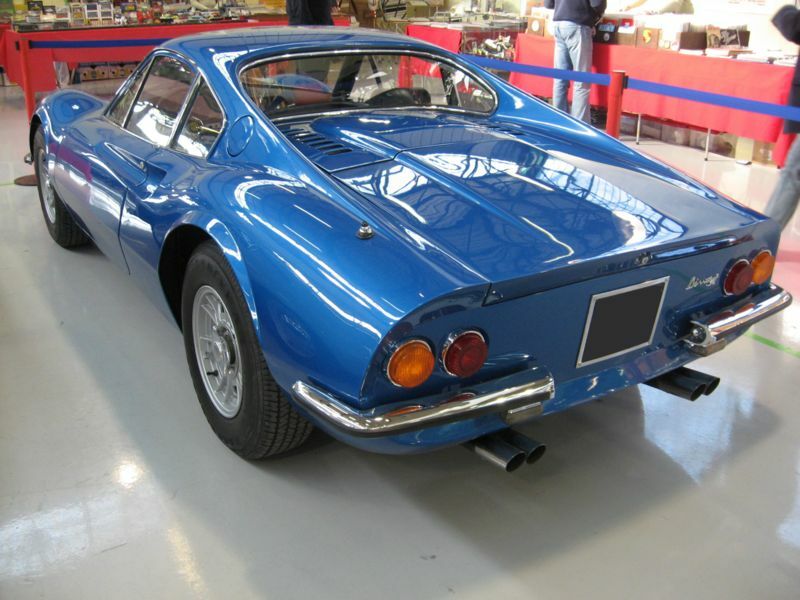 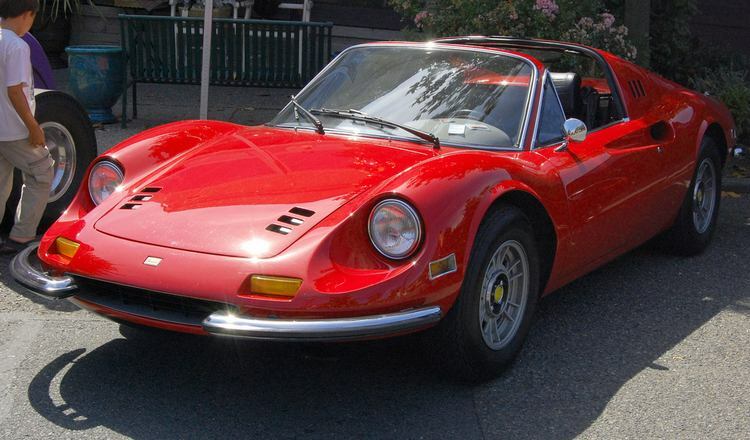 Available as Dino 246 GT Coupe or Dino 246 GTS Spider. 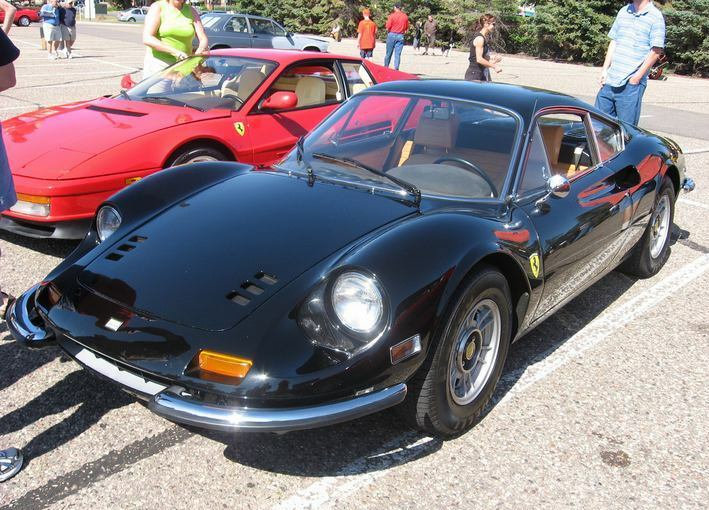 The Spider is around 45lbs heavier than the Coupe. 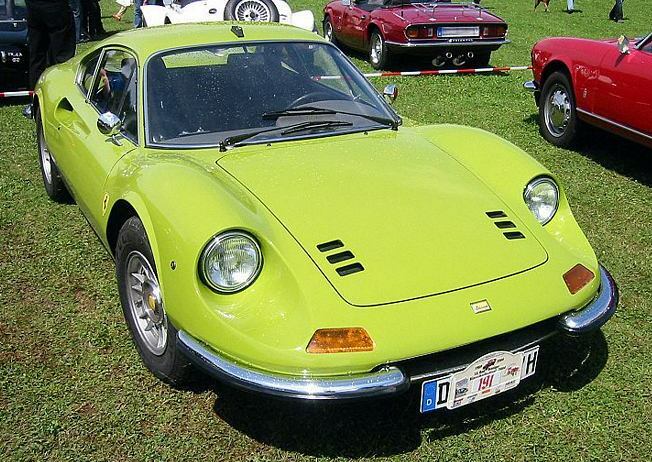 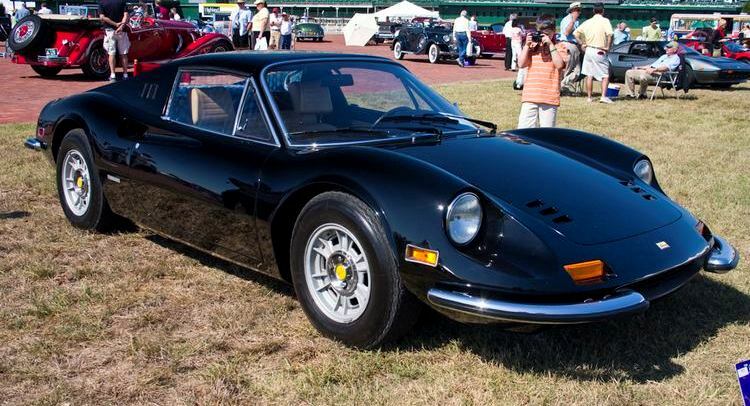 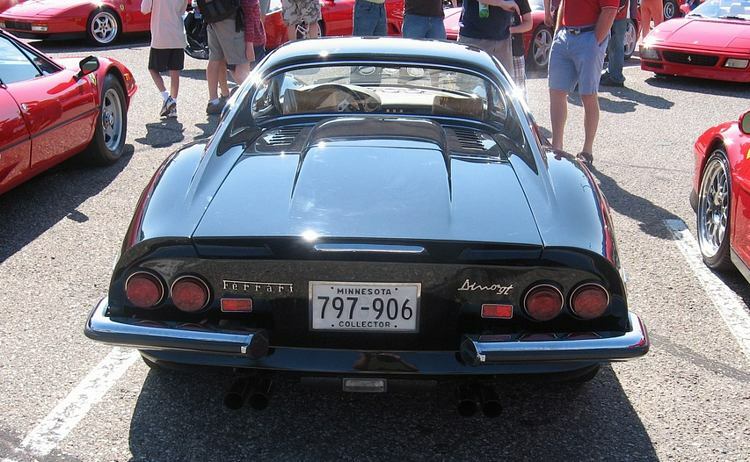 The US market had a 175bhp Dino, with 0-60 in 7.9 and a 1/4 mile of 15.9 secs.